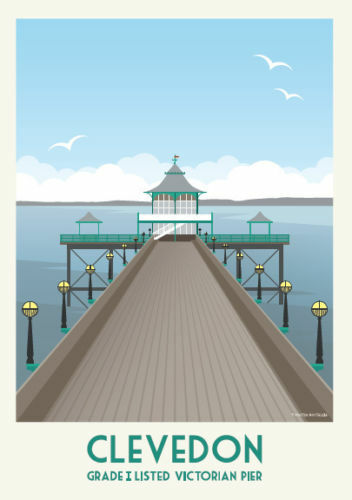 New to the shop is our range of Clevedon Posters. We’re always looking to source posters and artwork of our town so this range will grow as we find more. We love Clevedon. It is such a beautiful place to give inspiration to amazing art work and photography. Try a framed Clevedon poster as a centrepiece in your lounge or even in your workplace. What about giving a Clevedon poster as a gift to a friend that has moved out of town? They’ll love being reminded of the town whenever they see it.